This page uses Joe Jaworski's vproweather and vproreplace software (with custom scripts), connected to a Davis Vantage Pro 2. It is generated and hosted using Linux, and will refresh automatically. The National Weather Service home page is http://www.nws.noaa.gov. 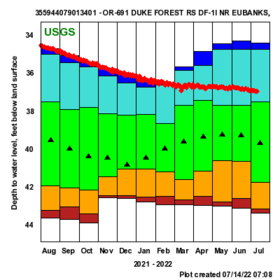 The USGS home page is http://www.usgs.gov (Chapel Hill Site). 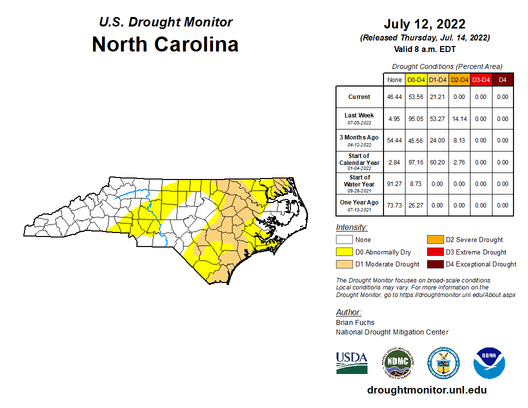 The National Drought mitigation Center home page is http://www.drought.unl.edu (US Drought Monitor).